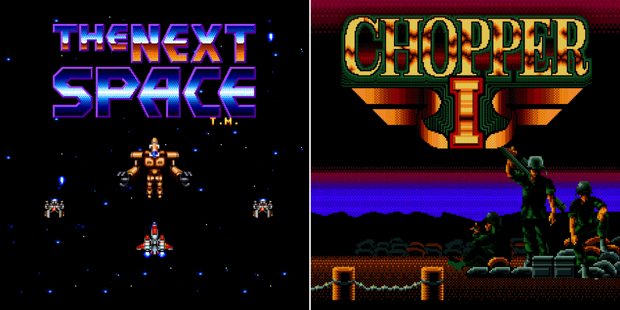 SNK adds two more of their Arcade Classics to the PlayStation Network today: Chopper I and The Next Space. I've never heard of either, but I love that there's a game called The Next Space. These both come from the golden arcade age in the late 1980's, with vertical copter shooter Chopper I from 1988 and space shmup The Next Space from a year later. With The Next Space's great name and the dude from the image Chopper I (middle) looking like he has mad swag, you can OK about spending the $2.99 asking price for each. Both are available today on the PlayStation Store as PS Minis for both PSP and PS3.